(Bucks County, PA) - Say goodbye to Old Man Winter and welcome the new season with 10 must-attend spring festivals and events in Bucks County. 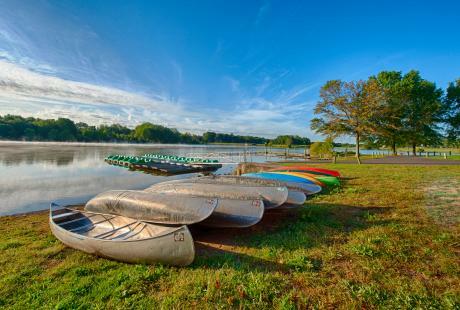 Located only 25 miles from Philadelphia and 75 miles from New York City, Bucks County&apos;s countryside is the ideal destination for a spring getaway. 1. 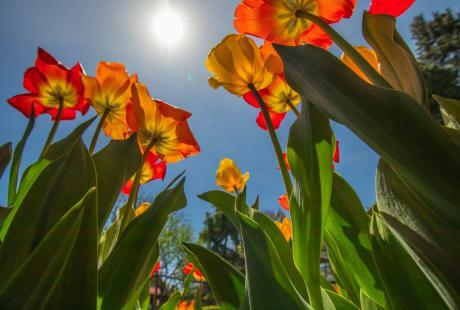 Bucks County GardenFest, March 16-April 17 - Get excited for all that spring has to offer at the 2nd Annual Bucks County GardenFest at the Bucks County Visitor Center in Bensalem. Attend lectures and demonstrations by local gardening and horticultural experts and browse shadowbox displays made by local nature centers, parks, gardens, and attractions. At the Visitor Center, also be sure to check out the Creative Bucks County exhibit, as well as a recently-installed Selma Burke sculpture and two unique pieces, including a tile fireplace from Moravian Pottery & Tile Works. 2. 26th Annual Neshaminy State Park Civil War Reenactment, April 25-26 - Celebrate the history of Bucks County! History comes to life at the 26th Annual Neshaminy State Park Civil War Reenactment, one of the largest reenactments on the East Coast. Held on the grounds of Neshaminy State Park in Bensalem, the weekend-long event will feature a traveling Civil War Museum, recreation of Union and Confederate military camps along with civilian camps, two public battles and a re-enactor only tactical event. 3. 40th Bucks County Designer House & Gardens Tour, April 26-May 30 - Villa d&apos;Braccia, a 7,800 square-foot Mediterranean style villa, set on four acres in Chalfont, has been selected as the 40th Annual Bucks County Designer House. Visitors are invited to tour the home and grounds, all of which have been transformed by the area&apos;s top designers and landscapers. Special events will be held throughout the month-long event and bus/group tours are welcome to visit for a discounted rate. This annual event attracts more than 8,000 people each year and proceeds support the Doylestown Hospital. 4. Opening Day at Sesame Place, May 2 - Sesame Place®, the nation&apos;s only theme park dedicated to the television show Sesame Street®, celebrates their 35th birthday in 2015! Head to the park on May 2 for Opening Day and join the birthday party all season long with whirling rides, splashy water slides, toe-tapping shows starring everyone&apos;s favorite furry friends and the new Neighborhood Birthday Party Parade. 5. Washington Crossing Brewfest, May 2 - Toast to history at the 5th Annual Washington Crossing Brewfest. Sip on some of the best-tasting beers from more than 65 breweries from around the country. All proceeds from the Brewfest benefit Washington Crossing Historic Park, the site where George Washington made history when he crossed the Delaware River on Christmas night in 1776. 6. Strawberry Festival at Peddler&apos;s Village, May 2-3 - Peddler&apos;s Village kicks off its spring festival season with the annual Strawberry Festival. During the festival, be sure to browse the 65 shops of the 18th-century-style village, including nearly 10 new stores, introduced this year. 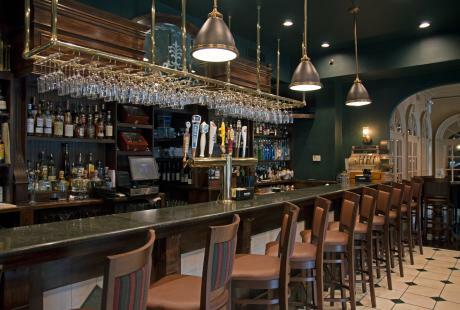 With rooms sprinkled throughout the Village, book a stay at the newly-renovated Golden Plough Inn and make it a Bucks County weekend! 7. 5th Annual Spring Winery Tour, May 17 & 24 - Comprised of nine unique, family-owned wineries, the Bucks County Wine Trail is ready to celebrate the season! This two-part self-guided wine tour takes visitors through four wineries in the Northern portion of Bucks County on May 17 and five more wineries in the Southern portion of Bucks County on May 24. Want a sneak preview? Watch as winemaker Joe Maxian shares the story behind his winery, in this Bucks County Storytellers video. 8. New Hope Pride Week and Parade, May 10-17 - Follow the rainbow to New Hope and celebrate the 12th Annual Pride Week & Parade! The area&apos;s largest parade takes center stage when a mile-long rainbow flag is carried down Main Street on May 17. Also check out other great LGBT events throughout the week, including a block party and vendor fair. 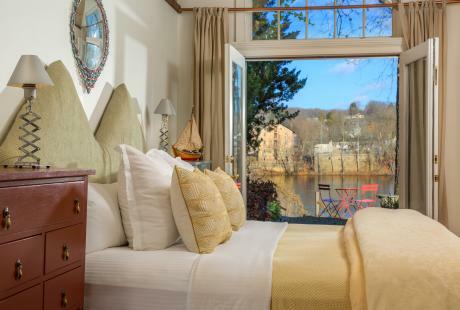 Stay for the weekend at one of the quaint B&Bs in and around New Hope. 9. Arts Alive!, May 16 - Quakertown takes to the streets during the 15th Annual Arts Alive! the area&apos;s premier adjudicated artisan and crafter event. More than 100 juried exhibitors show off their wares, along with original music acts, live alpacas, a food court and wine-tasting area and trolley transport around town. 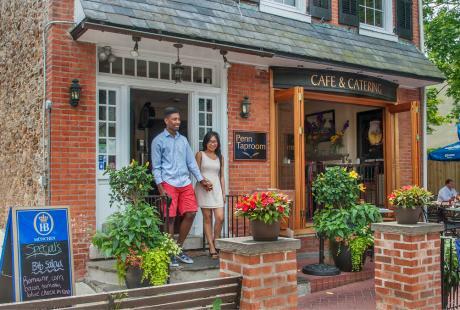 In the midst of a massive revitalization, get acquainted with this lively Bucks County town. 10. Moravian Pottery & Tile Works Festival, May 16-17 - Admire the splendor and individuality of the handmade historic and contemporary ceramic tiles from more than 50 artists, dealers and collectors at the Moravian Pottery & Tile Works Festival. A free tour of the Tile Works - a "working history" museum built by archaeologist and art collector Henry Mercer that still produces handmade tiles today - is included with admission and rare handcrafted tiles, including the tile presented to Pope Francis last year in advance of his fall 2015 visit, will be available for purchase. For a full schedule of festivals and events in Bucks County, check out VisitBucksCounty.com.